The number of people taking advantage of the Kindle unlimited eBook subscription on Amazon is on the rise, and statistics can prove it. Since its inception back in July of 2014, the catalog has seen an increase in the number of eligible books to over 1.4 million. There is no doubt that there is so much to gain from Amazon Kindle free books, but if this is a whole new thing to you, the following information will help you know a lot about the service. Read on. eBook subscription services are mostly ideal for avid readers, and if you are one of them, Kindle is the place to begin. 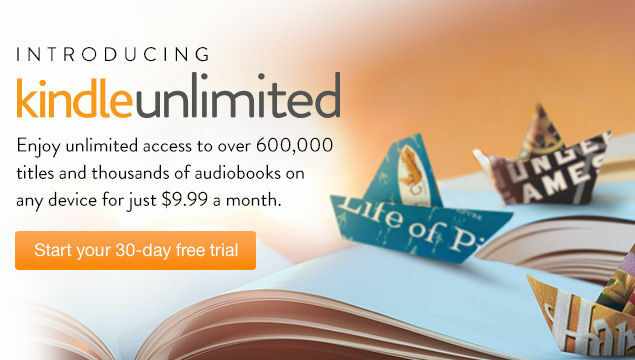 The Kindle Unlimited catalog offers more than 1.4 million titles, and the number can only get higher. When starting off, the service had about 640 thousand books, and the number has been on the rise compared to its competitors that had about 1 million titles at the time Kindle Unlimited was starting. In fact, some of the other eBook services died along the way. But that is not all. You also get Audio Narrations on a good number of books, Word Wise, a feature that gives definitions of difficult words, and if you are an Amazon Prime Member, you get access to about 1 thousand of these books. The other good thing about Kindle unlimited is that you get more than just Amazon Kindle books free downloads. With the subscription comes free magazines and audio books as well. That means that you will have the liberty to read some of the popular magazines at no extra cost. In the past, before the autumn of 2016, magazine readers were supposed to sign up to the Kindle Newsstand subscription which was a separate thing altogether. Among the magazines, you will have access to include Bon Appétit, GQ, People, National Geographic Traveller, and Shape among others. The Amazon Kindle books store has a few new features meant to make reading your favorite books more fun. One such feature is the Audio Narrator which allows you to convert text to audio and vice versa. In simpler terms, you will have the ability to convert your eBook into an audiobook at a small cost of about $4. This feature is, however, free for the Kindle Unlimited subscribers, and over 20 thousand Kindle Unlimited eBooks can be read using this feature. If you are new to the Kindle Unlimited subscription and you are wondering how to read free books on Amazon Kindle, here is what you can do. We understand that the crowding on the Amazon site can make it difficult to get access to these books, plus you will have to confirm if your favorite book is available in the catalog. There are two ways to go about it. The first one is to browse the Kindle Unlimited page and Amazon Kindle free books. Here, you will see different categories of the features books including Amazon Kindle free books romance, popular titles, popular club picks, and popular biographies. Further down the home page, you will get a good number of eBooks hand-picked by the editors depending on their ratings and what books sell best on Amazon. The other approach is to use the Kindle unlimited filter to find the books in the catalog. This appears on top of the filters in the left sidebar when browsing the Kindle Store. So, you will search the book you like, and if after checking the Kindle Unlimited box the book disappears, it is not in the catalog.